Just before the gateway to Graz there is an endless amount to explore – whether it is the open-air museum or a castle, these excursion destinations are well worth visiting! 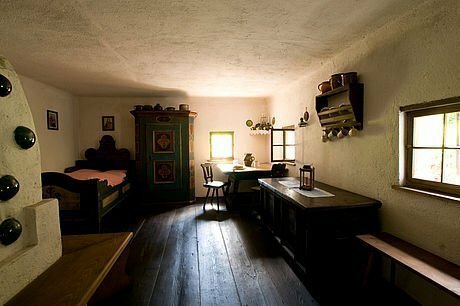 In the Austrian open-air museum in Stübing some 100 original, historic and agricultural buildings from across Austria are carefully located. The farmhouses and business buildings are grouped according to federal areas, so the history of Austria's building culture can be conveniently accessed on foot, from the Burgenland to Vorarlberg. A vibrant, happy, life-affirming church, designed by Mr Friedensreich Hundertwasser. The steeple, roof, facades, the golden onion and the golden spheres are representative of variety and the abundance of shapes. The building is surrounded by 12 gateways to the main religions and cultures. The many symbols require interpretation. They allude to the answer of life's key questions. 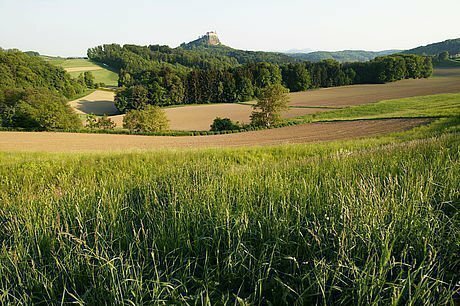 Over 850 years old, Riegersburg Castle can be seen from quite a distance, on the rocks of a volcano mountain, providing a superb view. Even the climb up the mountain is an adventure. 3 kilometre defensive walls with shooting slits, 7 gate buildings and 11 bastions still provide evidence today of the turbulent past. 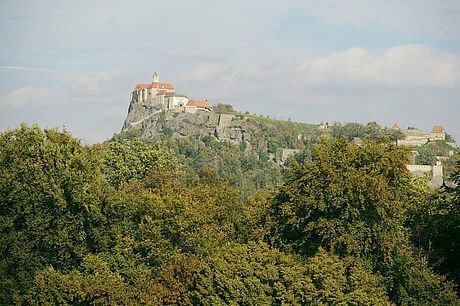 However, just like it was for the Turks, Riegersburg Castle was unscalable for many tourists too on account of the steep footpath. A diagonal cable car now takes 1 ½ minutes to get to the fortress. Among the treats in the castle is the impressive Knights' Hall dating from around 1600 with its fantastic inlaid doors, portal superstructures and coffered ceiling and White Hall designed in 1658 with its artistic stuccoed ceiling, a masterpiece from the early Baroque era. There are two exhibitions to see in the castle: the "witches' museum" and the "Fabled Riegersburg – Legendary Ladies" exhibition, which provides insights into the people and what happened in the course of the history of Riegersburg Castle, dating from the 17th century.